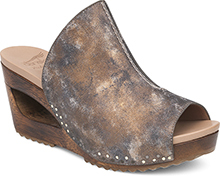 The Dansko Camel Milled Nubuck from the Cecily collection. Winding leather bands make the Cecily a wearable work of art! 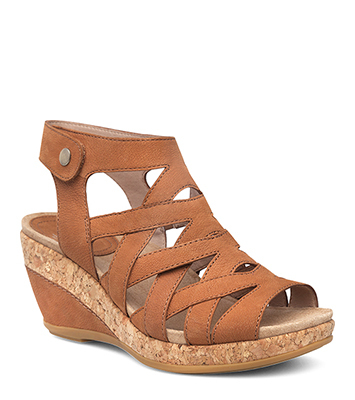 Walk in comfort with soft suede socklinings, memory foam footbeds, and a dual-density wedge heel made with leather and cork.